Part 1: What Is “Fruit”? This construction also implies that some listeners might not “have ears.” Jesus, therefore, is dividing his audience into two groups: Those who prove they have ears by using them, and those who might as well not have ears, because they aren’t hearing what he is saying. The second command (v. 18) is in second person: “[You] hear then the parable…” Here there is only one audience: Jesus’ close disciples. The verses between these two commands are about the same topic: The two kinds of hearers in Jesus’ audience. Let’s examine verses 10-17 more closely. This chapter is the first time the word “parable” appears in Matthew. Jesus had already used short word pictures that could be classed as parables. This chapter, however, is full of parables, some of them extended. Something new is happening in Jesus’ teaching. The disciples are curious. So they come to him, perhaps over “lunch break” or at some other pause in his teaching, for a private explanation. 11 And he answered them, ‘To you it has been given to know the secrets of the kingdom of heaven, but to them it has not been given. Here are the two kinds of hearers: “You” and “them”—the disciples and the crowds. In Mark Jesus says “you” and “those outside” (Mark 4:11)—insiders and outsiders. The first difference Jesus notes between the two groups is that one group has been given something that the other has not. “It has been given” is what Bible scholars call a “divine passive”; it is a statement written in the passive voice rather than the active voice (“it has been given” rather than “[so-and-so] gave it”). The implication is that God is the “someone” who did the giving. This statement, then, emphasizes God’s sovereignty. What God gave to one group and not the other was the opportunity or ability “to know the secrets of the kingdom of heaven.” Here we see our theme of “understanding” (hearts that understand and bear fruit). Jesus is saying that God gave his disciples the ability to understand his teachings about the kingdom, but God had not given the crowds that same ability. Why would he do this? This verse explains why God gave something to the disciples but not to the crowds. The disciples have something that the crowds don’t have. Because the disciples already have this something, they will be given more by God. Because the crowds don’t have this something, they will lose even what they do have. What was this “something”? If we scan chapters 8 through 12 (between the Sermon on the Mount and our text), we see that one thing the disciples had was simply a willingness to be Jesus’ disciples, giving up home and braving opposition to follow him. In Matthew 11:25 Jesus prays, “I thank you, Father… that you have hidden these things from the wise and understanding and revealed them to little children.” The disciples, at this point, had only very basic understanding of the kingdom of heaven. But they understood that Jesus’ teachings about the kingdom were worth hearing. They were willing to be Jesus’ “little children” and learn from him. The crowds, in contrast, and especially their leaders, were refusing to receive Jesus and thus were refusing God himself (Matt. 10:40). They said John the Baptist had a demon and that Jesus was a glutton and a drunkard (Matt. 11:18-19). Their refusal to repent led Jesus to compare them to Tyre and Sidon, to Sodom, and to Nineveh (Matt. 11:20-24; 12:39-41). Their leaders were already conspiring to kill Jesus (Matt. 12:14) and were accusing him of being in league with Satan (Matt. 12:24). And, in passages that form bookends to chapter 13, we see that even Jesus’ own family was failing to do the will of Jesus’ Father in heaven (Matt. 12:46-50; cf. Mark 3:21, where they say Jesus is “out of his mind”) and even his hometown of Nazareth took offense at him rather than believing him (Matt. 13:53-58). What the disciples already have, then, seems to be the willingness to receive Jesus for whoever he may prove to be, unlike the majority of the crowds who have rejected him. Because the disciples already have welcoming hearts toward Jesus and his kingdom message, God will grant them deeper knowledge of the secrets of the kingdom of heaven. “The Jewish people,” in contrast, “have rejected knowledge of Jesus, so ‘even what they have,’” including their identity as “being God’s kingdom people, will be ‘taken away’ by God” (Matt. 21:43). The Jewish crowds have persistently shown that they are not willing to listen to Jesus, so God will not give them the understanding that would lead to repentance and good fruit. The parables, then, are specially designed to convey truth to those who are receptive and hide it from those who are not. “All things have been handed over to me by my Father,” Jesus had already declared, “and no one knows the Son except the Father, and no one knows the Father except the Son and anyone to whom the Son chooses to reveal him” (Matt. 11:27). Jesus refuses to “give dogs what is holy” or “throw [his] pearls before pigs” (Matt. 7:6). Instead, he decides to hide his teaching in metaphorical language that forces his listeners to puzzle over what he meant (and, incidentally, makes it harder for his opponents to incriminate him for what he said). This brings us to Jesus’ quotation of Isaiah 6, which we will examine in the next post. Your responses are welcome in the comments below! “The “for” () that introduces the verse makes it the reason for God’s grace-gift (divine passive “will be given” ) only to the insiders.” Osborne, Grant R.. Matthew (Zondervan Exegetical Commentary on The New Testament series Book 1) (Kindle Locations 9457-9458). Zondervan. Kindle Edition. Osborne, Grant R.. Matthew (Zondervan Exegetical Commentary on The New Testament series Book 1) (Kindle Locations 9467-9468). Zondervan. Kindle Edition. Osborne, Grant R.. Matthew (Zondervan Exegetical Commentary on The New Testament series Book 1) (Kindle Locations 9473-9474, 9484-9485, 9490-9491). Zondervan. Kindle Edition. Osborne quotes Witherington (Matthew, 264) in the final line. Sometimes even Jesus’ enemies understood the basic thrust of his parables, however: “When the chief priests and the Pharisees heard his parables, they perceived that he was speaking about them” (Matt. 21:45). Who you are depends largely on who you have been with. And most of what you know you have learned from other people. If these statements are true, then it must be vitally important to be intentional about our relationships. A Christian’s most vital relationship is with Christ. If your relationship with him is all it should be, then he can help you survive even the worst set of human companions. The normal way that Christ strengthens and trains us, however, is through human relationships. People who have known you well for a long time. People who are wiser than you—mentors. People who are eager to learn from you—disciples. People who are like you, who help you feel at home. People who are different from you, who make you feel not-at-home. People who don’t know you well. On the other hand, if you are surrounded only by people like youself, then your picture of yourself might be rather two-dimensional, lacking depth and perspective. Spending all your time with people just like you won’t teach you much about the rest of life, either. This is why youth need adults, men need women, and you need the city. This post will discuss the third reason. Why should you care about cities? This might be the least expected reason why you should care about cities, but it might also be the most important. If you would be a wise and effective Christian, then you must first be a learner. And Christians, including rural Anabaptists, have much to learn from the city. Cities can help you learn about yourself. When I was in Thunder Bay, I was one of a team of five Mennonite adults surrounded by First Nations youth. When went to college, I was the only Mennonite in my city. When I taught school in the Bronx, I lived in a neighborhood that was about 80% Hispanic. When we lived in Queens, there were at least seven ethnic groups on our immediate block—Chinese, Puerto Rican, Guyanese, Sri Lankan, African American, and, including us, two white households. Each of those contexts taught me things about myself. Now we plan to move to a neighborhood in Atlanta that is over 95% African American, also within reach of multi-ethnic college populations. I anticipate many new learning opportunities. I think it would do most people good to live for at least a year as an ethnic or cultural minority. When you live as a minority, you learn that you are not normal—most people are not like you. You learn that your heritage has some unique strengths. You also learn that your culture has some besetting sins (perhaps selfishness with time and possessions, thanklessness, or impatience). And you probably even learn that you have some unexpected racist tendencies (I did). Cities can remind us that we really don’t understand “the lost” as well as we think we do. Here I begin with a point I made in my last post—that too often conservative Anabaptists think of missions in terms of caring for the poor, tending to overlook other kinds of people. But a happily married (gay or otherwise) university professor or plastic surgeon with a six-figure income needs the gospel just as much as the whino on the curb. I am puzzled by the notion that our life in in city is different than life in Elmira or Parry Sound or Newton or Harrisonburg or Shipshewana or Walnut Creek. Urban people do the same things—go grocery shopping, volunteer at school, walk their dog, visit the library, help out with neighbourhood events, go out to eat, see plays and hear concerts, enroll their kids in swimming lessons. 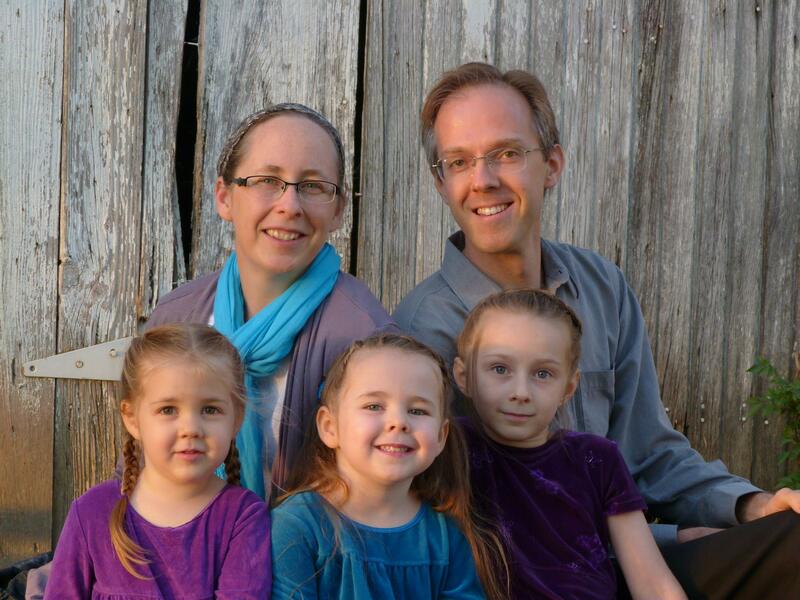 If we as Anabaptists believe in lifestyle evangelists—just go. But check out the demographics of more than the poor and needy. If God is truly no respecter of person, then the urbane, literate, middle class professionals are in as much need of Christ’s love as anyone. But if you are going to live in their neighbourhoods (because let’s face it—the best way to get to know someone is through their kid or dog), you need to be able to afford it. This means having a profession that is transferable to a urban centre and being socially fluid. We like to talk about how Jesus hung out to the poor and marginalized. But Matthew was a tax collector and Joseph of Arimathea was wealthy. Imagine being friends with the policy wonks, decision-makers, financial investors and cultural creators of our times! …People who are not in desperate socio-economic straits are not open to the gospel? Using that logic, most of Mennonite-land should be impervious. Ouch. And probably truer than we like to think. Street-corner evangelism certainly has its place. Many have come to Christ through such efforts. But I would suggest that most are unlikely to respond to Christ unless they experience a meaningful, ongoing sharing of life with Christian friends. Why should we limit our city mission efforts to “hit-and-run” approaches? And most of us are somewhat poorly prepared to win people to Christ. We may understand the gospel well enough (see my next point, however). But to be an effective “gospel-er” we also need to understand our audience. Consider how Paul adjusted his message to his audiences. I still do not consider myself an effective evangelist. But I do know that I have a better grasp today than I did in my youth of how a secular, post-Christian mind can tend to think. How did I grow in understanding? By spending time around secular minds. When I was in university (or college, as they say here in the U.S.), it took me about three years before I felt that I understood my classmates and professors well enough to start writing a Christian opinion column in the student paper. Some are faster learners than me. And even after three years I’m not sure how effective I was. But my basic point remains: Growth in my understanding took time—long, daily time spent with unbelievers. (Ask any cross-cultural missionary.) And if I had never moved to the city for school, I would never have debated Freud, traced Islamic history, analyzed Milton, read Genesis, tiptoed through feminist assumptions, debated homosexuality, and laughed in the hall with my new postmodern friends. Such educational cross-cultural relationships can be formed almost anywhere, if you try hard enough. But they are almost unavoidable in most cities. What an opportunity! Cities can help you understand the gospel better and experience it more fully. Nothing makes you appreciate a homegrown tomato like eating the cardboard imitation found in your local supermarket! Similarly, meeting people from other world religions can help you see the unique vitality of the Christian gospel. Wrestling with heresy helped the early church identify orthodox belief more precisely. Engaging thoughtful non-Christians today can help us do the same. Being surrounded by undeniable, unavoidable needs can help you focus on the core message of the gospel, with its power to save. Well-manicured hands are nice, but when a patient arrives with a heart attack, you aren’t going to reach for your nail clippers. And when you are helping youth escape the sensual tentacles of mass youth media, you might not worry too much about whether they become skilled at singing four-part choral music. Both Christians and unbelievers from other cultures can push us to do a better job of distinguishing between our cultural traditions and gospel traditions. (“I don’t see that in the Bible!”) Diversity within the church can give us a sense of proportion about the little things that sometimes divide us. (Fact: Most Christians have never given a moment’s thought to questions about how big your beard should be or whether you should wear covering strings.) As we ponder together how we can best meet the needs of our communities, the differences that otherwise might divide are sometimes revealed to be assets, turning the local church into a veritable Swiss Army knife of multifaceted strengths. Diversity in the church gives all sorts of opportunity for growth in character. For example, some Caribbean cultures might think Germanic Mennonites are too quiet. Why don’t we show more zeal in worship? How can they tell what we are really thinking about them and their ideas when we hide our disagreement behind so much polite silence? And they might find us disrespectful. Why don’t we wear ties to their funerals? Why do we walk right past our elders at church without greeting them (even if they are in the middle of a conversation)? So, who is right—Germanic Mennonites or Dominican Christians? Both! Or neither! But seeing ourselves through someone else’s eyes is informative, and learning to love each other is a challenge that can cause us to lean harder on the gospel. And if you lean hard enough, your shame of the gospel will evaporate when you discover, like Paul, that the gospel has the power to bring people of all cultures together as one in Christ (Rom. 1:16-17; Eph. 2-3). Culturally homogenous churches [churches where everyone shares the same culture] are adept at targeting and attracting a certain type of person and creating a strong group identity. However, attendees at such churches are at a higher risk for creating the overly simplistic and divisive Right Christian and Wrong Christian labels that dangerously lead to inaccurate perceptions of other Christians as well as hostility and conflict. What often begins as an effective and culturally specific way to reach people for Christ ends up stifling their growth as disciples. Perhaps this is because we often fail to make a distinction between evangelism and discipleship. People can meet God within their cultural context but in order to follow God, they must cross into other cultures because that’s what Jesus did in the incarnation and on the cross. Discipleship is crosscultural. When we meet Jesus around people who are just like us and then continue to follow Jesus with people who are just like us, we stifle our growth in Christ and open ourselves up to a world of division. However, when we’re rubbing elbows in Christian fellowship with people who are different from us, we can learn from each other and grow more like Christ. Like iron sharpens iron. Let me share an hypothesis: I suggest that conservative Anabaptists risk becoming increasingly ingrown, divisive, and ineffective in missions unless more of us experience the sort of cross-cultural challenges that urban living offers. In closing, let me repeat some advice to myself: When you do move to an urban setting, bear the gospel, yes, but go as a listener and a humble learner. Let’s face it: All this rightfully-urgent talk about urban missions can be perverted by our pride. Among some of us, urban ministry has given us not only a sense of urgency but also a sense of superiority. For many who have cut their rural umbilical cords, urban ministry is cool (substitute the latest relevant slang). We may forget that rural and small-town living are also honorable. So much of the urban church planting I’ve seen simply replicates and extends the power inequities between whites and people of color that were cemented years ago on plantations… I’m amazed at how quickly majority-culture pastors with no urban ministry experience acquire a passion for urban ministry and then automatically assume that they are qualified for the job… This privileged perspective on urban church planting undermines the unity of the body of Christ. If each part of the body has a unique perspective, gift and role to play, then we need to recognize that we’re not equipped to do every type of ministry and humbly collaborate with the parts that are better equipped. Ouch. Read her whole article. Be humbled. But don’t give up on the city. Just go with a renewed determination to be a learner—a disciple-maker who is first a disciple. I know I will have a lot to learn when we move to Atlanta. One thing I hope to learn is how Anabaptists can better participate in Christ-centered racial reconciliation. Though our heritage has unique gifts to bring to this work, most of us are either pretty ignorant or pretty ineffective. Too many of us are still happily colorblind, which is a problem, as my friend Lowell Herschberger explains. We have much to learn. I need the city, so do other conservative Anabaptists, and so do you. This is the end of my series called “Why Should You Care about Cities?” Much more could—and should—be said. And I’m aware that some of what I said could be misunderstood. I have spoken strongly, and I have made some generalizations. But what will it take to engage God’s people to respond to one of the greatest challenges of our time—the rise of global cities with their multi-ethnic, multi-need populations? Rest assured: If you don’t go to the city, the city will come to you. It is already coming. It is coming in the form of your news media, the designs of your consumer products, your college-trained bankers and doctors, the teachers and curricula in your local public school, your construction products, your farm commodity prices, government regulations, the election of your next president, your Amazon orders, your cell phone apps, your Internet signal, and, hopefully soon, Dwight Gingrich Online. Will we run to meet this Goliath? Or will we merely try to dodge his spear? Better, will we see the city as not only a giant to be slaughtered, but also a fertile field? Will we take a proactive approach to global urbanization? Or will we retreat behind ever-less-effective geographical and cultural walls? It was in the world’s third-largest city (population c. 500,000) that Christ’s followers were first called Christians (Acts 11:26). And it was to the largest city in the world (population c. 1,000,000) that Christ specifically sent his apostle to the Gentiles: “Take courage… you must testify also in Rome” (Acts 23:11). The big city just might be the most ideal habitat one could possibly imagine for a Christian. Go therefore and make disciples of all the nations in your nearest city! Do you agree that more Anabaptists could benefit from urban living? What do you think we need to learn from the city? What should we learn about ourselves, our neighbors, and the gospel itself? Share your observations in the comments below. And thanks for reading! It is sometimes useful to read books written by those who don’t fit neatly into any of your existing boxes. 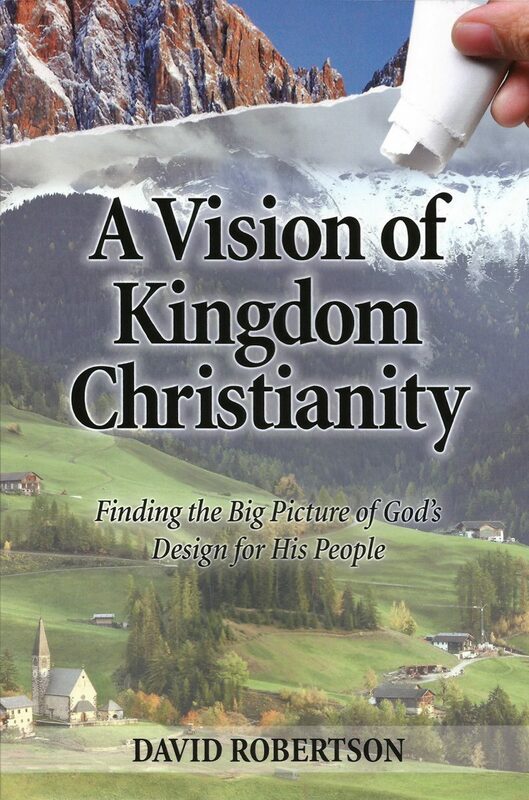 Such is the case, for me, with David Robertson’s book A Vision of Kingdom Christianity: Finding the Big Picture of God’s Design for His People (published in 2015 by Kingdom Vision Books, Niverville, Manitoba, Canada). My employer and friend Marvin Kauffman recently gave me this book to read and review, since he enjoyed it. I’ve found it an interesting read. Robertson is a prophetic voice and a lifelong kingdom pilgrim who is still eager to learn how to better follow Christ. I’m not quite done this book, but here is a brief overview. The Authority of the Bible and of the Church Is Being Replaced by the Authority of the Individual. But other things that Robertson says are perhaps less expected. As a sincere and original disciple, he does not fit neatly into our expected boxes. For example, listen to these extended excerpts which first inspired me to share this post. Do you think our brother is saying something here that we need to hear? One thing that puzzled me when I first came into contact with Anabaptist people and their writings was their use of the word discipleship. They talked much of discipleship and even claimed that one big difference between themselves and the Protestant evangelical churches was their emphasis on discipleship. Coming from my Protestant background, I reached the opposite conclusion. It seemed the Anabaptists had no time to disciple because they were so busy working to make a living. And if they did have time, they had no actual program to do so, except maybe a pre-baptism class. The Protestants, on the other hand, had whole libraries of books describing one-on-one discipleship, group discipling, multiplying disciples, and sharing the faith. They had an incredible stock of resources that could be used to give direction and guidance to the disciple. So what was the difference? Who really emphasized discipleship? I think the answer is both. Eventually, I came to learn that for the Anabaptist, discipleship meant obedience in all of life. Without growth in obedience to the teachings of Christ, they believed there was no discipleship. They rightly saw that discipleship involved all of life and not just class time. The problem, however, is that there are still men and women, young and old, who need to be systematically taught the basics of the Christian faith, practice, and witness. All too often we Anabaptists have no sound resources to do so, and no people who have been trained to take on this joyful task. Here the Protestants can teach us, for they have men freed up to develop resources, to train laborers, and to do the actual work of discipling. Jesus’ pattern of preparing disciples who will themselves make disciples seems to be more of an apprenticeship, rather than seven years of seminary. This apprenticeship, [sic] involves both study and practical work right from the start. The great missing link in much of Anabaptist missions today is this purposeful preparation, mobilization, and support of laborers. We Anabaptist-type groups have been good at doing relief work, cleaning up after hurricanes, re-building barns, and helping with medical expenses. Our labor (time) and money are poured into these projects and into schools to educate our children. We have excelled at these social ministries, but why has not even more time and money been expended proclaiming the Gospel of the kingdom in every place, beginning in our own countries? We claim to have the foundational pillars of the faith that all must hear, but we leave the job of proclaiming the faith to the Protestants (who we say, have largely missed the critical kingdom message). That makes no sense. As kingdom Christians we believe the church has been given a job. To do this job, we need a continual stream of prepared laborers. “We never did join the Mennonite church,” Robertson writes, “but our interaction with them caused me to go back to the Scriptures again and again to see what they really said” (p. 5). Robertson clearly throws his lot in with what he calls the “Radical Believer’s Churches” (p. 5), yet he aims to learn from the broader church, and his allegiance is ultimately to Christ alone. I don’t agree with all of Robertson’s conclusions, but I expect I would be encouraged and deeply challenged if I met this brother over a cup of coffee or—more likely—in his prayer cabin or on the streets of some Canadian town, proclaiming the good news of the kingdom. What do you think? Do you agree with Robertson’s diagnosis of how poorly many Anabaptist local churches handle missions? Do you agree we should learn from the Protestants in how they train intentionally for both missions and discipleship? What can we do to better recognize (both see and authorize) those among us who are gifted in evangelism and church planting? How should the money flow change to get the job done? Share your passion in the comments below.